Crate training a rescue dog can present special challenges, depending on your dog’s history, but every dog can come to enjoy crate time. Your dog’s crate will come to be a pleasant place for her where she can enjoy all of her favorite things. Rescue dogs, especially, appreciate a space of their own. Crate training can help your dog to become a happier, more confident companion who will thrive in your home. 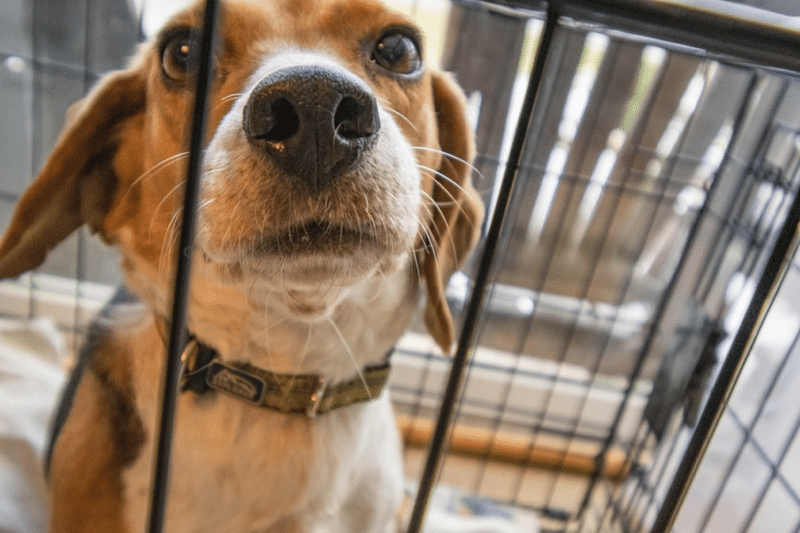 Consider these useful tips on crate training a rescue dog. You love your dog and think of her as part of your family, so why would you ask her to stay in a cage? Being a loved member of your family doesn’t mean your dog is a human. It can be challenging for dogs to learn to live in a human world. 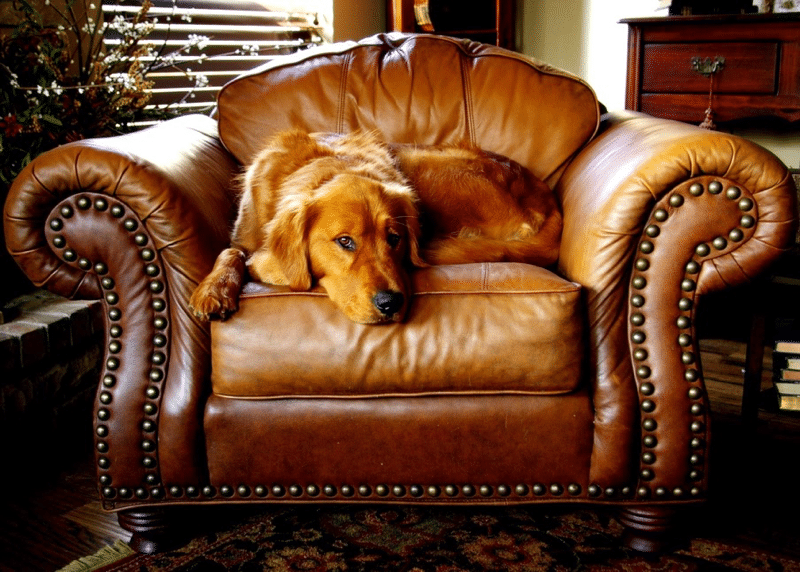 Providing your dog with a place of her own helps her to learn the difference between her space and your space. A crate may not look very appealing to you, but dogs instinctively seek out “den-like” places, so most dogs naturally like their crate without needing encouragement. This means that even crate training a rescued, anxious dog need not be difficult. The human world can be a dangerous place for a dog. Strange fabrics and fibers may seem like food to a dog who has never encountered them before. A cord or wire doesn’t seem very different to a dog than a stick, until she is taught the difference. Crates provide a safe place for your dog to be when you can’t watch and train her. Dogs are talented acrobats, and other means of trying to contain your dog may fail or cause your dog injury. Dog crates have been designed and perfected for containing all sorts of dogs. As long as you choose a crate that is appropriate for your dog, you can leave your beloved pet without worrying about her safety. A crate is your dog’s own space, where she can feel comfortable. Dogs don’t get to own very much in this world, but a crate can be a place where your dog always feels at home and among her own things. It is especially important for rescue dogs who have unknown pasts to have a safe place. By going to her crate, a dog can tell you that she is stressed or no longer wants to engage. A crate allows you to close the door so your dog can have peace from kids or other pets, which may be the difference between a happy pet and a negative experience. Crate training an older rescue dog can be especially important for this reason. Let’s face it, dogs can be messy. We love burying our faces in that thick fur, but it is less appealing all over the couch. The silly, cute smile of a jowly dog may melt your heart, but the drool all over your carpet or couch after chewing or just sleeping is less charming. A crate is a comfortable place for your dog to be her messy self without getting that mess all over your home. Whatever kind of mess your dog makes, a crate can contain it and make cleaning much easier. There are several types of crate on the market. 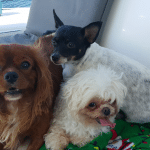 Each of these types of crate is better for a particular type of dog and situation, so carefully consider your dog when making your decision. Read all about the pros and cons of the best dog crates. You’ve brought home your new puppy and couldn’t be more excited. You can’t wait to play with her, snuggle her, and get to know her. Much of the energy you put into your new dog will go into training her. Read the AKC guidelines for more information on crate training a puppy. Crate training a puppy is not only an important training activity in and of itself, it is also a valuable tool to help you in other training, like potty training and teaching your puppy appropriate chew habits. Whatever kind of crate you decide on, make sure that it is big enough for your puppy to stand, turn around, and lie down comfortably, but not so big that your puppy will be able to eliminate in the crate without soiling her bedding. 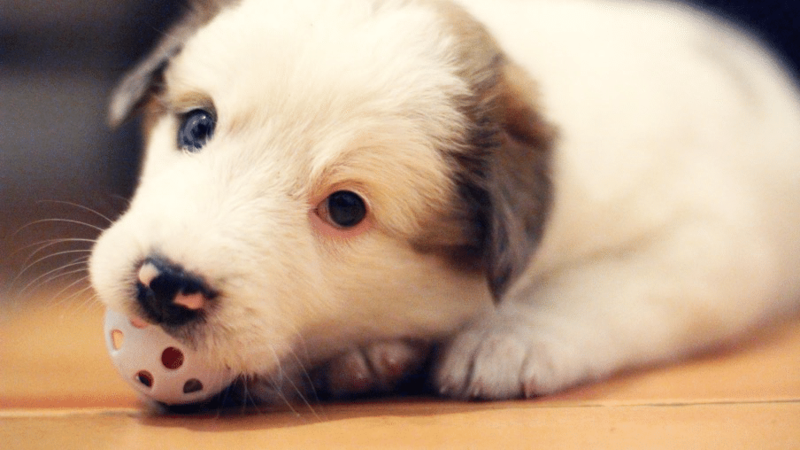 A soft bed, favorite toys, chews, and food toys can all help to make your puppy’s crate her favorite place. Make sure there is always clean, fresh water available, and don’t let kids or other pets follow your puppy into her crate. Reserve the best treats and food toys for crate time so your puppy will look forward to being in her crate. When you are done crate training your puppy she will associate being in the crate with special rewards and will look forward to crate time. It is extremely important that you build crate time slowly so that your puppy does not grow to dislike being in her crate. At first leave your puppy only as long as she is content chewing a toy, then gradually start leaving her for longer periods. Every time your puppy comes out of her crate, bring her outside to go potty. This way she will learn that potty time follows crate time and begin to grow accustomed to holding it in anticipation of going outside. Stick to a careful crate training schedule to make learning easier for your dog. Puppies miss the comfort of their littermates and mother, and so are more likely to cry at night. They also can’t hold their bladders all night, so they need to be let out periodically throughout the night. It can be a challenge to differentiate lonely crying, which is best ignored, from crying due to a need to go to the bathroom. To stay ahead of the need for nighttime breaks, go out frequently when crate training a puppy at night. This way you can be confident that any crying is only lonely crying, which she will get over in time. A hot water bottle and stuffed animals can also help your puppy get accustomed to sleeping alone. Puppies are still learning control and may not be able to hold their bladder long. When crate training a puppy don’t expect her to hold it for more than a couple of hours at most. If your puppy is still eliminating within the crate despite being taken out frequently, consider reducing the size of the crate. 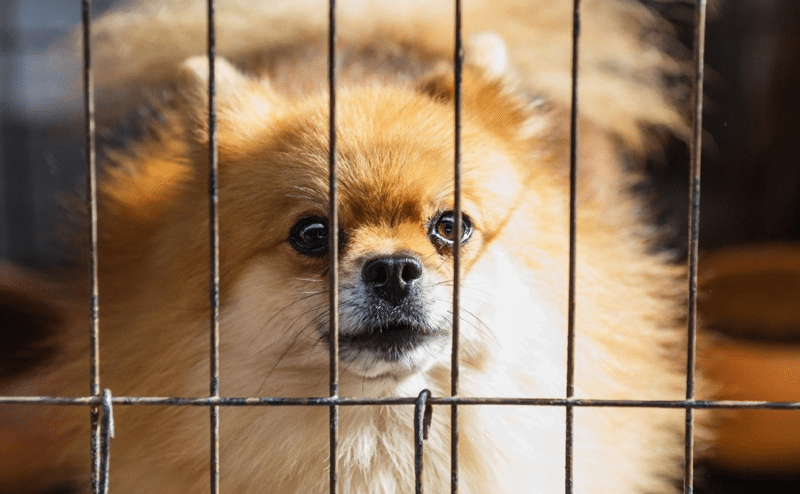 If your puppy is in an appropriately sized crate, being taken out very frequently and not spending too much time in the crate, and is still eliminating, you will have a somewhat strenuous training process ahead of you. You can watch your puppy in her crate and take her out whenever she is about to eliminate in the crate, or you can consider using a larger pen or crate and paper train your puppy. Teething puppies want to chew on everything, so it is not surprising that they try those sharp little teeth out on their bedding too. Choose a bed that will be less likely to encourage chewing while you are crate training a puppy. It is important to discourage this tendency now before it becomes habit. Look here for a good range of chew resistant beds for you to choose from. Crate training an older dog varies greatly, depending on the dog’s prior experience with crates. Your new dog may have been crate trained as a puppy and have no problem picking up where she left off, or she may have never seen a crate before, requiring fundamental crate training. Your dog may have had traumatic experiences of being put in a crate for punishment or left in the crate for long periods. Such dogs can have a very hard time adjusting to thinking of a crate in a positive light. Consider what the Humane Society has to say about crate training an older rescue dog. Be very patient and aware of your dog’s signals when crate training an adopted dog, especially when crate training an older rescue dog. How does your dog react to a crate with bed, chew toys, etc. inside? Does she trot right in like it’s no big deal or does she express anxiety around the crate? Your dog’s reaction to the crate will help determine how training should proceed. If your dog displays anxiety around the crate, take time desensitizing by rewarding your dog for going as close as she is willing to go, building slowly each day until your dog is willing to go in the crate. Once your dog is willing to go in the crate, give her good things in it while closing the door for short periods. Build the time very slowly, watching closely for signs of anxiety. Make sure you reserve your dog’s favorite treats, toys, and food dispensing toys for crate time. Gradually increase the time your dog spends in the crate until you can leave her overnight or while you go to work. Keep an eye on your dog’s habits and behavior as you settle into your routine with the crate. Make sure bedding is not being destroyed, and watch for any reluctance of your dog to go into the crate. If you see reluctance, shorten the time your dog spends in the crate. Older dogs may have had bad experiences with crates or cages, and express anxiety immediately or once left alone in the crate. 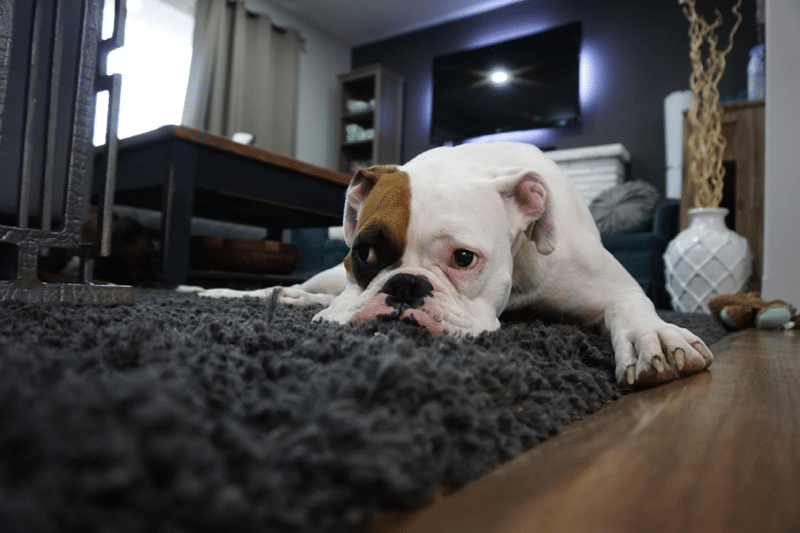 Check frequently or use a nanny cam to observe behavior as your crate train an older dog, so you can determine if your dog is experiencing any anxiety within her crate. Dogs may destroy out of anxiety or boredom. The solution is different depending on the cause, so it is important to determine why your dog is destroying things in her crate. Providing an engaging food dispensing toy or chew toy can entertain a bored chewer, while an anxious chewer will still be destructive in the presence of other enticing distractions. 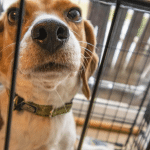 For most adult dogs not eliminating within the crate is instinctual, but dogs that have been confined all of their lives may have had this instinct suppressed. If your adult dog eliminates within the crate even though the crate is not too big, you may have a challenging training program ahead of you. 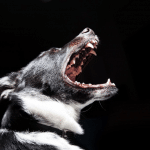 You can watch closely and redirect your dog when she is about to eliminate within the crate, or you can try paper training in a larger crate or pen. Using your dog’s crate as a punishment will cause her to develop negative associations with it and ruin the feeling of it being your dog’s home and safe place. With the exception of teaching an anxious dog that the crate is ok, no one should ever go in your dog’s crate but her. What is “too long” varies by dog, but in general no more than overnight for adult dogs or several hours for puppies. Your dog or puppy should never be reluctant to go in the crate or whine and cry before being let out. If so, she may be in the crate too long. You wouldn’t want to sleep in a dirty bed, and neither does your dog. Keeping your dog’s crate clean and fresh water available will keep your dog loving her crate. Continue providing fun chew toys, food dispensing toys, and favorite toys only at crate time so your dog associates crate time with good times. 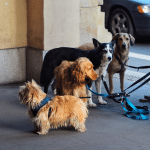 It is a good idea to stick to some kind of crate training schedule for all of your dog’s life, but as you and your dog get to know each other better, you may decide that it isn’t necessary to close your dog in her crate when you’re gone. To be safe, puppies should be crated when you can’t watch them until they are at least a year old, and some puppies must be crated for longer. Like human children, puppies go through stages and phases, and while your puppy may not care about chewing electrical cords one day, she may be all about it the next. Play it safe and keep crate training your puppy until she is grown up and her personality is relatively stable before risking leaving her without being in her crate. When you feel confident that your dog isn’t going to get into any trouble while you’re gone, you can begin trying to leave her for very brief periods. Ideally you will have a camera set up so you can observe your dog while you’re gone, but if you don’t, check on her through windows. Your dog may act very differently once you leave the house, so make sure you have a sense of what she will do before you leave her alone. It is a good idea to start by leaving your dog in a contained area without access to anything dangerous like cords, until you know what she is likely to do. Crate training is an important foundation on which to build a happy life with your dog, whether you are crate training an older rescue dog or a puppy. If done with love, you and your dog will both come to enjoy crate time. Remember to take it slow and never treat the crate as punishment or leave your dog in her crate for too long. Crate training requires patience and perseverance, but once you have accomplished this important training you will find your life with your dog to be easier and more comfortable for both of you.